One of a kind Sofa Setting made from high quality Cane. The arm rests of the chairs are curved so you have a relaxed sitting position. 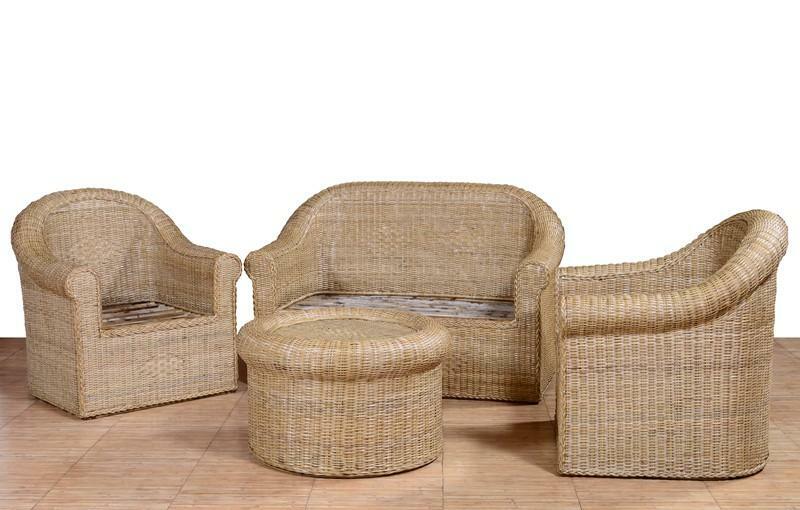 Cane furniture is lightweight and easy to maintain. Includes 1 Double Sofa, 2 Single sofa and a table.